*you may click on the picture to enlarge. 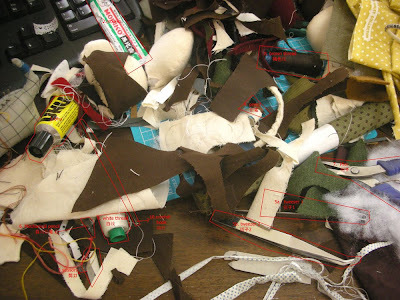 Many of you couldn't find the scissors(which are located at the down left corner), which are kind of surprising to me because I though the Mechanical pencil will be the toughest one. So, how many have got the right answer? Congratulations to the both of you ! Even though I didn't send in my answer, I did play the game and yes, I could find all except the mechanical pencil. I did spot the scissors!Now when I look at the photo where the mechanical pencil is I still can't make it out ;) It was a fun game to play Evangelione (I may even make a similar game myself when I have a give away one day!) and congratulations to the winners! AGh!!!! Are you serious!!! I'm so excited!! 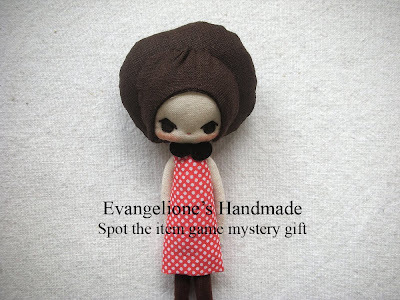 I have never won anything and have been eyeing your creations waiting for you to post dolls in your shop. Thank YOU so much you have no idea how big I'm grinning! OMG~!!!! I SAW MY NAME THERE!!! hi tako, it's a lovely game. pls hold more 'games' in your site...., as i'd love to win your lit'l audrey dolls for free next time..gigle! keep up a good work!